Detailed layout showing how your inscription will look on the headstone before engraving. Fixing with a namm approved anchor system. Alterations to the size, shape, colour or material of any memorial can be made and artwork or ornamentation added or removed as required. Prices will be altered accordingly. Worsley Memorials deal with every aspect of your memorial purchase. All paperwork and correspondence with cemetery or church authorities is dealt with by us, on your behalf. The modern classic cushioned triple heart memorial with elegantly carved roses. 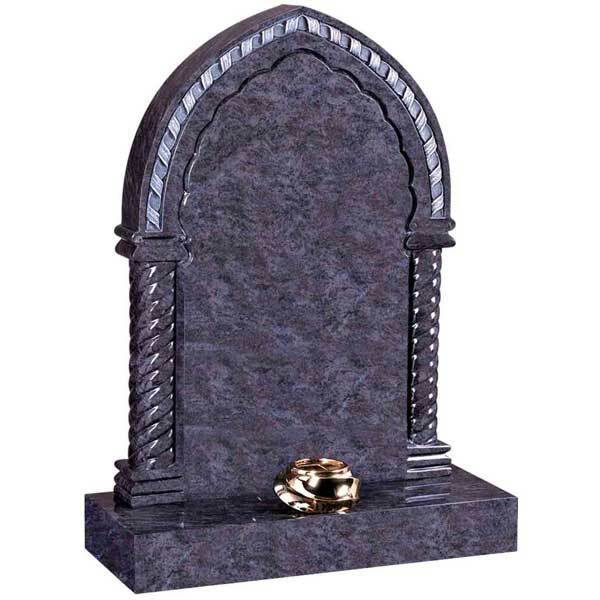 Headstone 30" x 34" x 4" Base 36" x 12" x 4"